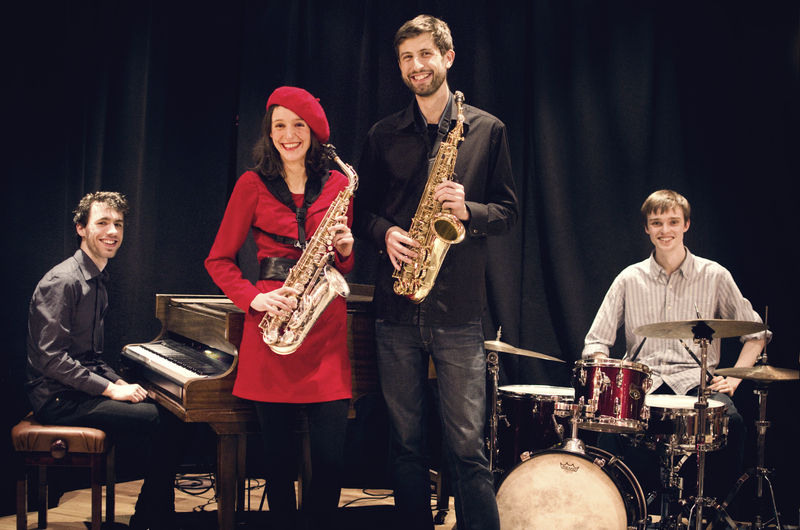 Saxofolk is an Edinburgh based Jazz ceildih band. We call all the classic ceilidh dances to a blend of traditional Scottish music with jazz standards and styles. We combine expert calling with a unique sound and a solid professional line up. As well as ceilidhs, we double up as a jazz function band, so you can kill two birds with one stone by booking us for your event. We came together as a band in 2014, from different ceilidh and jazz bands. Since then, we have enjoyed playing at a wide range of events from weddings and parties to public ceilidhs, and have become a popular name in our area. Previous clients include Edinburgh Ceilidh Club, Edinburgh Ceilidh Collective, Ghillie Dhu, Edinburgh University, the Corn Eschange, the Royal Botanic Gardens, the Edinburgh Academy and many others. My favourite part of every dance is when we jazz the music up and all the dancers start swinging their hips and jumping about. we always have a great time at ceilidhs and think the dancers do too!
. We are currently taking bookings. Get in touch for more information or for a quote. Listen to our soundclips to find out what we sound like. You have been recommended to us by the Edinburgh Academy .